The Polish Weekly | Tygodnik Polski » Much Ado About the Recent Media Frenzy in Hamtramck. Mayor Karen Majewski Speaks with the Polish Weekly. Much Ado About the Recent Media Frenzy in Hamtramck. 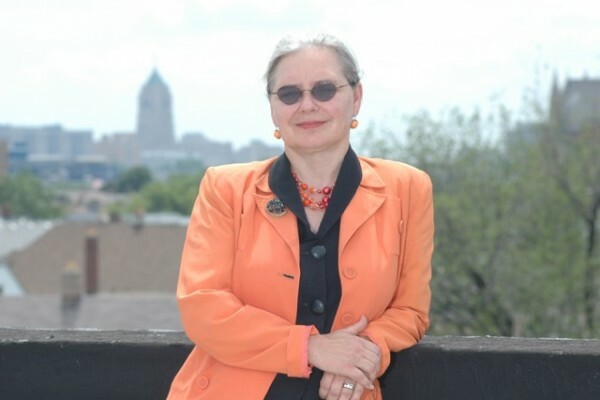 Mayor Karen Majewski Speaks with the Polish Weekly. The Polish Weekly-Tygodnik Polski (TP): How many interviews have your granted recently? Mayor Karen Majewski: I can’t even tell you; just today there were two already. First, the BBC this morning and then a French media representative came in completely unexpected. The media interest in our city has been constant. TP: Before we get to the reasons for that, can you first give an idea of how these interviews happen from a technical perspective? There was the nice panorama of the metro Detroit behind you while Carol Costello was in the network studio miles and miles away during your CNN interview. KM: I actually went to a studio in downtown Detroit. They had the cameras set up there and all I could do was hear but not see who I was speaking to. I could not see the other person. So it was not until after the interview that I actually saw her and the other guest. TP: In that interview the question which stirred up so much controversy was “are you afraid?” in reference to the Hamtramck Muslim population and its political participation in the city’s life. That was also the very first question you were asked. What did you think when you were asked that? KM: I thought “What the heck? !” It had never occurred to me that I was going to be asked a question like that. It never occurred to me that “fear” would be the topic. She talked to the other guy first. He was the man from the Homeland Security department and that is when I figured out that this was not going to be about the changing demographic of Hamtramck, or any of the usual themes which we often are asked about here in Hamtramck; what those changes might mean to the city, or what they might mean to the Polish community, for the community at large, and so on. Maybe something would come up about the “call to prayer” since the topic resurfaced lately in the discussions about the volume of public announcements. Those are the topics people have been very interested in and I get asked about them very frequently. In my wildest dreams I never imagined that we would be discussing the question of terrorism in Hamtramck. TP: You did not know the subject of the interview beforehand? KM: Absolutely not. I had an idea that it might have something to do with the recent election but not that it would center on the security issues. TP: Perhaps though – let me play a little devil’s advocate here for a minute – there was some justification to that question. Consider the amount and the type of coverage our city has received lately all over the world. In numerous instances the stories contain significant distortions. For example, in one of them we read that Hamtramck “replaced” the sound of church bells with that of the Muslim “call to prayer.” Furthermore, we learn that the Polish community was basically “chased away” and the city is experiencing nothing short of a “takeover” by the Muslims. Suppose that someone living in other parts of the country (or world) reads those stories which then become the primary source of information about what is happening in Hamtramck. Perhaps the question Carol Costello asked was the reflection of the type of sentiments those articles generate? Since all that people can know is what they have read, perhaps the question was not at all so off point? Maybe she was just trying to ask “are you afraid” as if “on behalf” of the readers of those sensational, fear-mongering pseudo-journalists hit-jobs? KM: I don’t think so. Not from an agency like CNN would I expect the practice of relying on some articles written somewhere by people who have never set foot in our city. An agency like CNN I imagined to have some degree of credibility. I expect anything from those right-wing news “sources,” which I do not even consider “news sources”; they are just propaganda machines for various reactionary factions. I do not pay any attention to what those so-called, “news sources” say or write. From an agency like CNN I would expect some degree of understanding of our situation, understanding gained through some research done beforehand. That, and the level of professionalism I would expect from them were not reflected in that interview. First, they asked me how to pronounce my name beforehand. I often get asked that and that is perfectly appropriate. And what happened at the very beginning of our interview? She still screwed it up, painfully. I was not going to let that pass. I find it offensive when people do not think it is important to learn how to pronounce names of people they invite as guests. Second, which I thought to have been just the result of sloppy journalism, the claim repeated over and over that Hamtramck is a majority Muslim city. We elected a majority Muslim council, elected it democratically. Whether Hamtramck has a majority Muslim population – I do not think we are there yet. What they did during that interview was rely on the Washington Post headline, which was a misleading headline in itself. The “WP” reporter, who spent three days here talking to many people apologized for the headline after. She wrote the story but the headline was not hers and she had no control over what it was going to be. In summary then, there is a story that the national media wants to tell about Muslims and about Hamtramck, both of which the media know absolutely nothing about. They look for ways to make whatever we here may say in answer to their questions fit the narrative that they have already worked out in their minds – because it would get them viewers. TP: Did anyone from CNN follow up with you on that interview? KM: No, nobody did, and I myself stayed away from the comments later. Basically once it was over I shook my head and said, “Well, that was weird.” That was the weirdest question I have been asked in twelve years of my public life, “let me move on” was my attitude. There is a story people want to tell. Journalists think that if there is no conflict, you do not have a story. So they look for that protagonist, the conflict, and the resolution to the conflict. That is why they came here, to look for that conflict and they will probably continue asking these questions until they get from someone a nugget which they can later interpret as a conflict. Life is full of conflicts. You live in a community, so sure, there are things happening which you could call “conflicts” but the real story about Hamtramck that people should be telling is that despite the ethnic, linguistic, and religious differences, we work things out here, always. Like in families, people whine, complain about each other, argue; and there is nothing to it because later they meet on the street or in a store and nod. Life goes on. There is none of that angst-filled panic, that, “Oh my God, what are we going to do? The Muslims are taking over.” People who are here have learned how to live next to one another. Those who could not learn that, have already left. 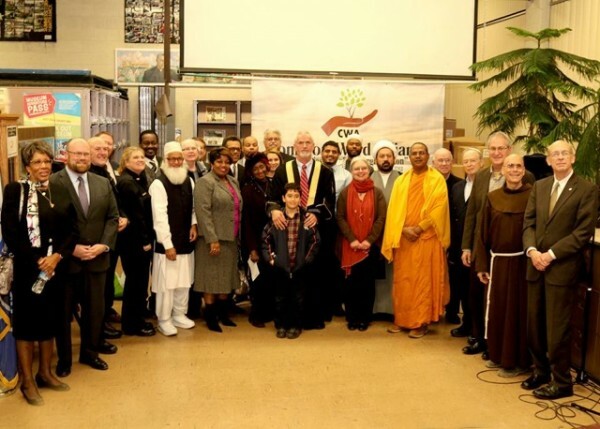 TP: It might be fair to note that the last time Hamtramck received the comparable amount of media exposure was some 13 years ago, when the “call to prayer” was first introduced and placed in front of the Hamtramck City Council. Are such level and that kind of publicity good for the city? KM: I think it is altogether an opportunity for the city to tell our story the way we see it and the way life writes it. TP: Are people outside listening if that story reaches them? KM: People are interested so I guess we will find out. The interviews I have given since the CNN one have not been centered on terrorism, security etc., at all. They revolved around the cultural and political transformation of Hamtramck. One reporter that particularly stood out was from China. She spent two days here, asked very smart questions, to the point. It was somewhat surprising that so many people from all over the world have cared about what is going on here. TP: What feedback have you got, if any, from other city officials, from the council, regarding your public appearances? KM: They only have been positive, expressing thanks for representing the city well and telling the city story in an accurate and professional way. Councilman Musa on Tuesday publicly thanked me during the council meeting for representing Hamtramck in the manner in which I have represented it. There is another facet to that story that people are very interested in, and I am glad they are. The Syrian refugees who are here have come up numerous times in the discussions with various media. This was a very important aspect in light of Governor Snyder’s pronouncement and the kind of fear-mongering about Syrian refugees. We have had about half a dozen of refugee families from Syria living here since around August. People are interested, for example, in how I feel about the Governor’s announcement that Michigan would oppose the resettlement of refugees here. Well, I was shocked by it and simply found it politically motivated. He has been so pro-immigration as an economic development tool that I was really surprised to hear him come out with the ban on refugees in Michigan, the ban which he has no say about at all. It is not up to him whether refugees can come to Michigan or not. TP: One possible attempt at justification to the ban is to say, “Look, right now it is more important to prevent rather than risk having to react later should anything go wrong.” Do you sympathize with that at all? KM: The refugees who are here now went through two years of vetting before they could come here. I know what happened in Paris, the terror and the fact that one of the terrorists got to France as a refugee might have stirred up fears or prompt generalizations. But how they do things in Europe differs from how we do things here. Again, the refugees we have here and whom we have welcomed went through a very lengthy, exasperating scrutiny process before they could even set foot here. On that, I want to add that once people found out that we have these refugees, the overwhelming response has been. “How can we help them?” That is one aspect of the story of Hamtramck those reporters hopefully take with them and publicize in the otherwise paranoia-filled climate of the current news media. TP: You have said that you neither follow nor react to the news outlets practicing the distorted coverage of the city as part of their overall strategy to sustain whatever their broader agenda might be. Some of those outlets, however, have the very large range of audience. Would you find it beneficial to address at least some of these? KM: No, there is no point in trying to confuse them with the truth. That is not to say that I have not spoken with some who represented the opposite angles to mine. For instance, Frank Beckmann called. He is a staunch conservative and I expected that to be a very difficult interview about the election. Instead it turned out to be a very good, warm, and productive talk. He asked about the changes and the election but it was done with knowledge of the community and with positive feelings towards Hamtramck. I hesitated at first to do that interview, and afterwards I was really glad we had it. There is a big difference between the sorts of news outlets, difference between, even Fox News, and some web-based, totally illegitimate, sensational garbage. TP: Can you now try to brief us on what actually happened? What is the “big change” which started the recent flood of media coverage? Do we have surveillance of the mosques in place yet, as some suggest? KM: I would not even know if that were to happen. I am thinking in terms of the council. Even before we had the majority Muslim council, it was very hard to deal with some of the members. I had just as much to handle, if not more, when the council was “Polish,” if you will. So if anyone’s focus is on how it is going to be a big problem for me now because the council will consist of a Muslim majority, they set themselves up for disappointment. That is not even a question one would be asking if they knew a bit of what goes on politically around here. If the Muslim council members have an initiative and wants to vote on it, they have the majority so the question is about the issues we are going to stand together on; different alliances will prevail depending on what the issues might be. I do not see the council members voting as a block automatically just because they are Muslim. Most of the issues we will be dealing with have no religious relevance. I can foresee some disagreements if somebody would bring back the idea of honorary street naming after some foreign dictators, for example. But nobody is going to try to close bars, contrary to those who already predict those moves. That was actually another residue of that “Washington Post” article with its exaggerated and misleading headline. State regulations state that no alcoholic beverages are to be sold within 500 feet of any place of worship or school, I stress: ANY place of worship. That is not even a city issue at all but the matter of Michigan state liquor regulations. Liquor licenses also have become a State matter and are no longer handled through the city. The only issue we will be dealing with might be some religious sites going into commercial districts. We do want to encourage our entertainment venues. TP: That is what the news outlets from abroad want to know? KM: They want to know what we are worried about. TP: They assume that we worry. KM: Yes. They do and they want to tell a story about conflict and anxiety. They want to tell a story about Polish people not liking Muslims. That would be, in a nutshell, what the expectation is and I refuse to buy into that. That is not to say that anxieties do not exist. Of course, they do. But for the normal person living in Hamtramck the worry is the pothole on their street, the city light not working by his or her house, the neighbor’s kids playing ball too close to the car, even the “call to prayer” being too loud – that is the level of anxiety and concern, our everyday situations. Sometimes they are interpreted as ethnic conflict because – just because. For the most part those are the kind of issues which would come up regardless of ethnicities. They get interpreted as ethnic because it is just easy. I think that is too easy of an explanation. People do make generalizations about other groups yet their next-door neighbor, well that is “different.” You hear, “Oh, I get along with my neighbors; they are Bangladeshi and their kids call me auntie,” etc. On a personal level the relations are cordial; people may not “hang out” with each other but their relations are cordial, not antagonistic. But the story which people from outside would love to tell about this place is that of antagonism, hostility and conflict. KM: They leave surprised; this I can tell. Some of the reporters leave disappointed because they did not find the neighborhood that was, say, all Yemeni or what have you. We are all mixed together here. On my street there are Polish, Bangladeshi, Ukrainian, Bosnian, African-American; there are hipsters and people I have no idea what ethnicity they are, and that is normal, too. We are such a small place. We are all mixed together, see each other on the streets or in the store, at the bank; our kids go to school together. When you go to the suburbs you can hide from each other and avoid conflict that way. We cannot hide from each other so real life intervenes and we deal with each other, learn to get along with each other and live next to one another. That is the challenge of Hamtramck and its beauty at the same time. And that is the story I try to leave the reporters with. TP: Many thanks for the talk and best to you in the New Year. KM: Merry Christmas to “TP” readers and best wishes to us all. Interview conducted by Xavier (Ksawery) Swiecki.